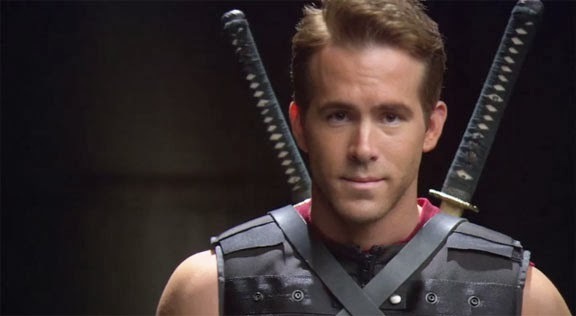 All the right elements are ready and waiting for the studios to greenlight a proper R-rated Deadpool film we fans are clamoring for- we know Director Tim Miller is listed, Ryan Reynolds has said many times he is on board, and there has been an oft mention "great script" by the writing duo of Paul Wernick and Rhett Rheese (Zombieland). The problem I think that is happening is the studios are hesitant of putting out an R-rated film. How can you do proper justice to a highly effective killer that uses humor as well as guns and swords? The same complaints I've addressed many other times about the Marvel movies- they NEED to stop pulling punches and start making films for adults as well as kids. They need that extra level of freedom to create an experience worthy of the characters. If they want a good following they have to up their game and take risks. If this movie gets made and does well, it could open up an entire new avenue of film opportunities for Marvel. An actual horror version of Ghost Rider, a dark noir mob underworld Punisher, and a maybe even a Wolverine film that actually shows him being the best there is at what he does, and that is certainly not brooding over some long forgotten past and crying like his mutant power is being an emo teenager. Deadpool is a character that knows he's a comic character in a movie. He's a crazy person and if they handle it properly, like the recent Deadpool: The Video Game (which I believed they handled quite well), they could open whole new worlds of movie chances. He's crass, violent, and immature- but has access to the mental faculties of a ridiculous dreamlike reality that he envisions the world as. Marvel needs to tap this, Deadpool's unique 4th wall breaking perspective of the himself, the universe, and everything else in between. Think of it- they could throw in cheap cartoon segments, or daydream states made of claymation and it would work because the character would accept it. With Deapool, almost anything goes. He is an opportunity to allow a method of ludicrous storytelling and entertainment few other characters could even come close to offering. It's about damn time to start looking towards the future Marvel. Start taking risks.